It’s early February. The wirlwind of holidays, hosting and gift giving has passed, the Buffalo grey of winter has settled in to linger for the coming months. It’s a time when many of us begin to feel stuck: stuck in doors and stuck with our same-old décor. Instead of receeding into a gloom of hibernation, consider one or more of these simple recommendations to refresh your rooms. A little change can help you feel rejuvenated and refreshed, ready to tackle another winter month. The best way to wake up a room is to find a statement piece; something outside what you ordinarily buy: go vintage modern, ethereal, bo-ho or brassy. Pick something bold like a mid-century modern accent chair, a whicker rocker, a brass floor lamp, or a large modern painting. Enjoy the search. Create a mood board of unexpectedly beautiful items. A bold piece can help break up the monotony, and brighten a grey winter day. Shift the orientation of all your furniture in one room 45 degrees. In your living room try pulling your couch off the wall, put it at an angle and shift the area rug to match. Break away from the walls and right angles. Play. Start with your larger furniture pieces and shift the rest, tweak and try again until it clicks! Help break up angles with a round or organic piece like this gorgeous cow hide rug currently at Ró, or this little modern side table. While it is tempting to display everything we own on countertops, shelves and coffee tables, beautiful objects can quickly turn into clutter and clutter can bog you down. Take the advice of Marie Kondo, author of “The Life Changing Magic of Tidying Up” and carefully consider each item you have on display. Ask yourself, “does this bring me joy?” If the answer is, “not really” it’s time to let that object go. Pick out your favorite things of beauty and find special places to display them where they will draw the attention they deserve. If you can’t find a proper place to store, you may consider investing in a simple, modern credenza or this handmade Norman Cramer dressing rack. Especially in the winter months when sunny days are few and far between, it is essential to have well-lit spaces in your home. Hang a pendant lamp in the kitchen or add a second reading lamp by your couch. 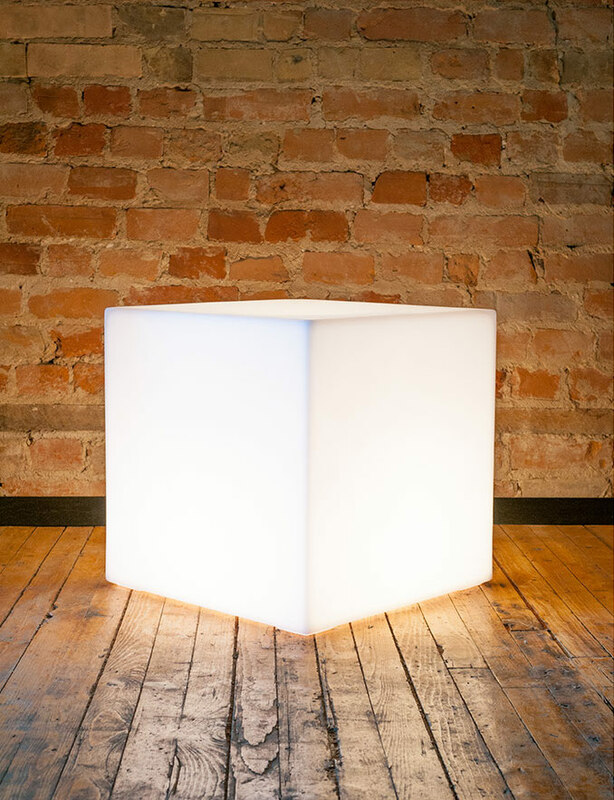 For a unique lighting solution, check out this Gus* lightbox. This piece functions as a light as well as a stool, footrest and side table. Another lighting solution could be to add a mirror to a wall facing a window. The reflected light can make your space feel bigger and even like you have an extra window. By mid-January, we northern folks have not seen green life for several months. Give your heart and your head a treat by collecting easy care plants like ferns, succulents, cacti or jade. Hang one from the ceiling and line a windowsill. Put your plants in unique pots, cracked cups or vintage finds to create a beautifully eclectic and lively green garden.